(Shenzhen, China, 24 June 2016) Mental health crises and emergencies can lead to distressing outcomes for individuals and communities. Now, the University of Melbourne and China are working together to tackle these universal and complex challenges, with the launch of an innovative training initiative by Asia Australia Mental Health (AAMH), in Shenzhen, southeast China, today. Currently, over 100 million people suffer from mental illness in China alone, with less than 15 per cent receiving any treatment at all. Once a quiet fishing village, Shenzhen has transformed into a modern metropolis of over thirteen million people. With rapid urbanisation, and a largely internal migrant population who often lack family support networks, Shenzhen currently lacks capacity to respond appropriately to mental health emergencies when they arise. As a result of the long-standing relationships established by AAMH with the Shenzhen’s Kangning Hospital, Hospital Authority and the City Government, Shenzhen has entrusted AAMH to build capacity in this critical area. The first-of-its kind three day program will equip Chinese healthcare, community sector, government, police and media professionals with an in-depth understanding of mental health crises and emergencies, along with the practical skills to predict, respond to and manage crises when they arise. The program showcases the patient-centred approach Australia (and Melbourne in particular) has adopted, with a view to working with partners in Shenzhen to tailor these models to a Chinese context. Head of Psychiatry at the University of Melbourne, Professor Ian Everall, says there is a strong alignment between the Chinese government’s national focus on creating more people-centred cities, and patient-centred solutions developed in Melbourne. Together with Asialink, Professor Everall’s Department is a key partner in the AAMH initiative. “As a forward-looking and people-centred city, Shenzhen has recognised that the problem is too big to be solved by one group alone. They are seeking an inclusive approach, bringing together clinicians and mental health workers with first responders. 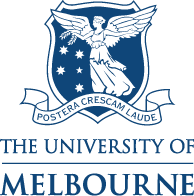 “We are immensely proud that the University of Melbourne’s AAMH consortium is helping deliver mental health services to hundreds of millions of people, using our expertise and experience to directly benefit communities in China,” Professor Everall says. Professor Everall will lead a multidisciplinary team of Melbourne-based community mental health professionals, psychiatrists, emergency department clinicians, and Victoria Police officers, to deliver the training. Co-Director of AAMH, Professor Chee Ng, says the project builds on AAMH’s broader collaboration and long-term trusted relationships with Chinese partners over many years. “The only way violence can be reduced is to plan for it, by considering the very different needs of individuals involved and by working together across health and community sectors and across borders,” Professor Ng says.